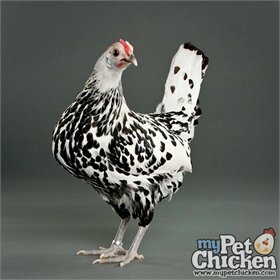 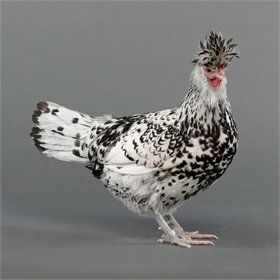 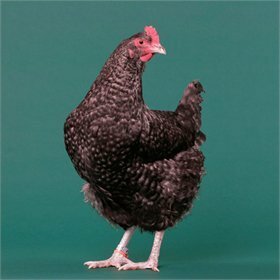 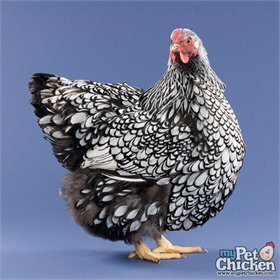 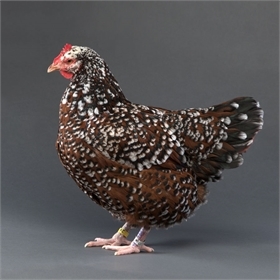 Silver Spangled Spitzhaubens are white with pretty black polka-dots, giving them a cheery, unusual appearance with their funny, feathery heads. 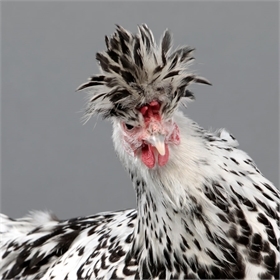 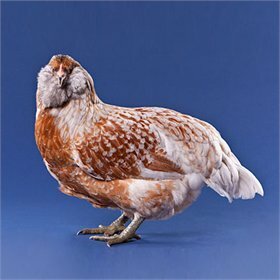 Even though it is often this peculiar look that attracts people to them, they are actually quite efficient producers of medium or large white eggs. 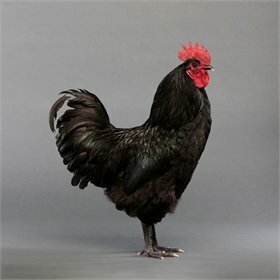 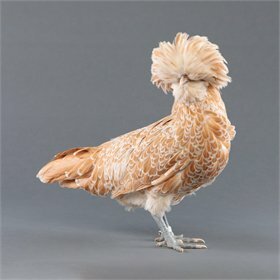 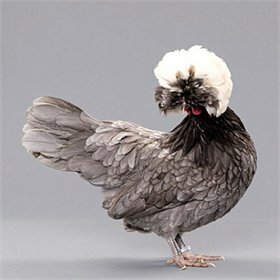 Spitzhaubens have a two-spiked "V" comb and a medium-sized crest that perches in silly glory on the top of their heads. 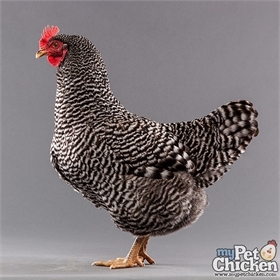 The breed was actually named for the local ladies of Appenzellerland in Switzerland, who traditionally wore lacey bonnets. 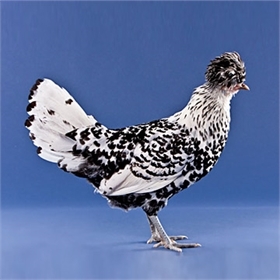 I don't know that I would be happy about that homage if I were an Appenzeller-lady, as the breed is also described as having "large, cavernous nostrils"! 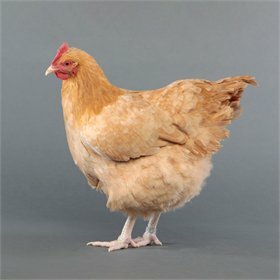 This very rare variety is good at foraging and they free range well. 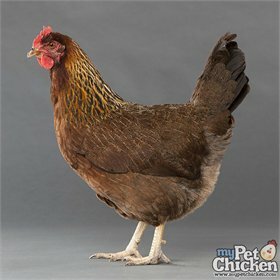 In fact, we don't recommend keeping them if they must be confined. 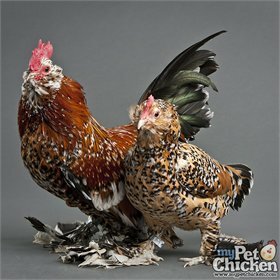 They will roost in trees when allowed. 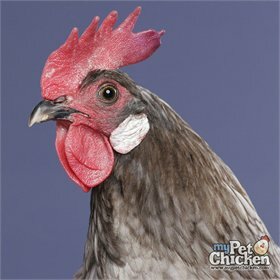 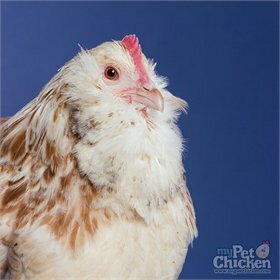 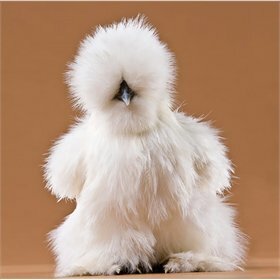 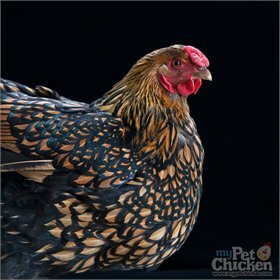 The chicks are spritely and active--you will love them!